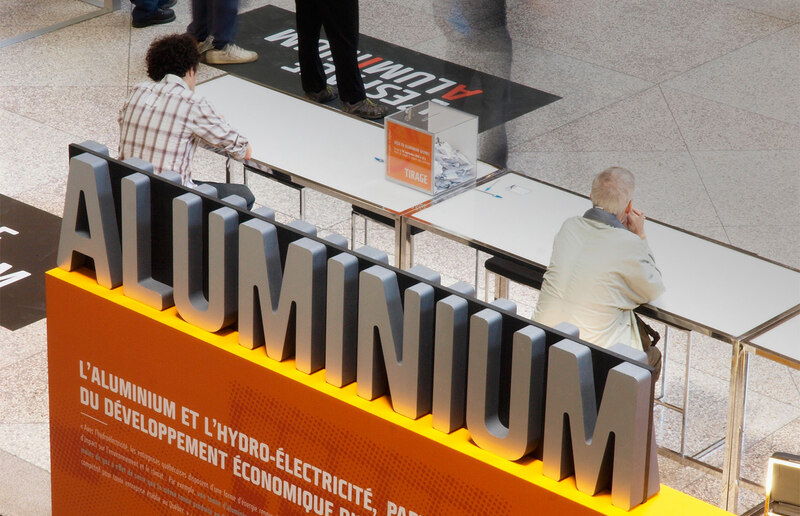 Strength & lightness, just like aluminum ! This large public exhibition space is composed of different modules of various functions: an aluminum pavilion, an expressive short wall, a multimedia module as well as a floor identification marking territory, all clearly reinforcing the theme of Aluminum. 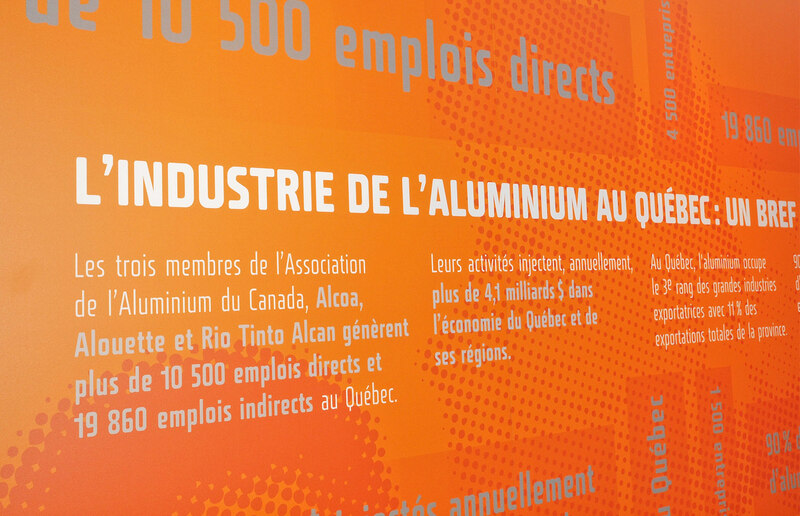 During an Energy Conference, our client wanted to familiarize the public with the economic and ecologic benefits of the presence of a local aluminum production facility. There was a large amount of information to synthesize in order to create an inviting and contemporary space that would help reach out to the public. In addition, various parts of these modules could be reused in other trade events. 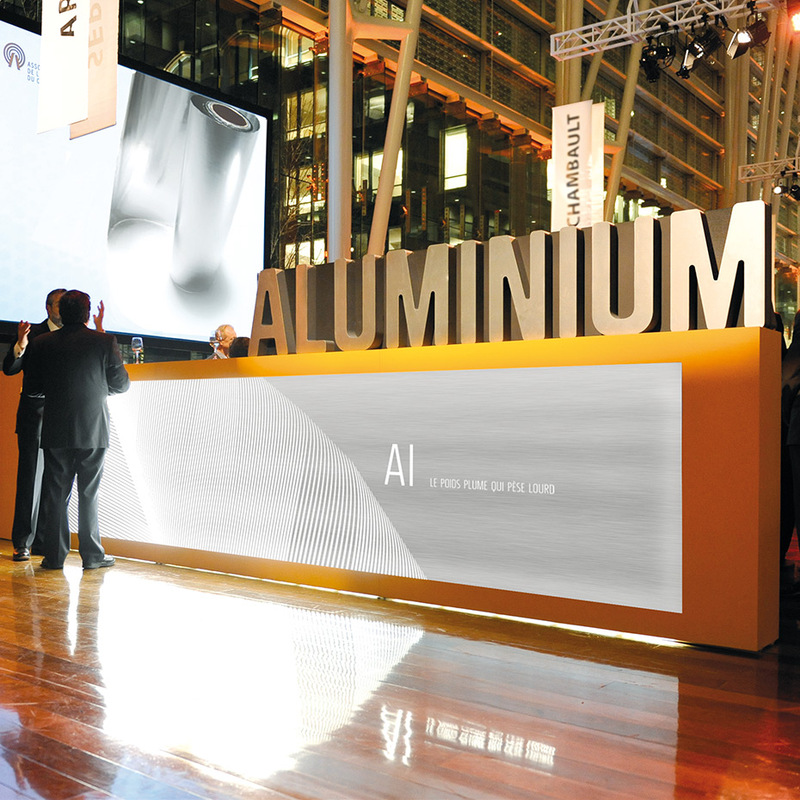 For the traveling pavilion, we chose to express the 2 principal qualities of aluminum: strength and lightness. 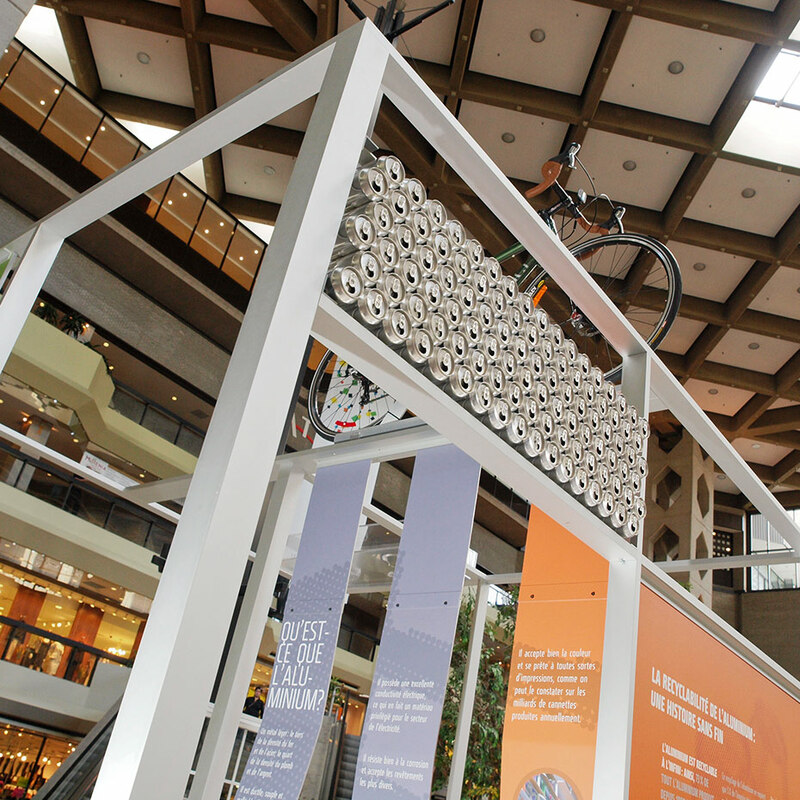 This pavilion houses all the information on the nature of aluminum and its daily usage. 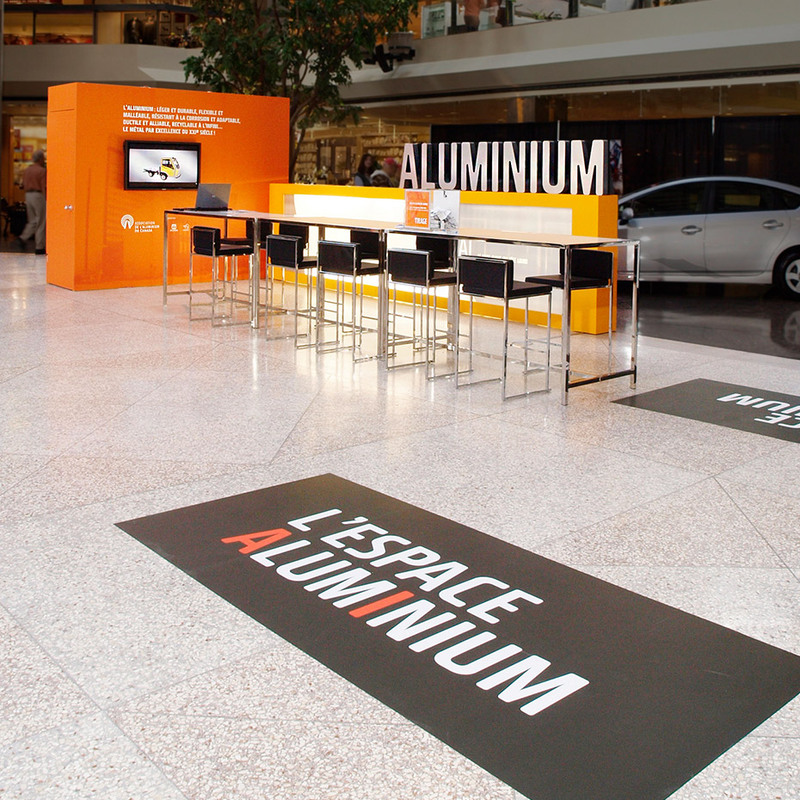 On the short wall, we chose to install another beacon with a very large word spelling ALUMINUM to ensure maximum visibility from the nearby mezzanines. The assembly of these kiosk elements emits a dynamic and versatile space.